Earlier in the day, Israel Defence Forces (IDF) spokesman Avichay Adraee said that Israel sent two military brigades and a command centre to the border with Gaza. The Israeli army announced on Monday that it began striking Hamas positions in the Gaza Strip after a Palestinian rocket, fired from Gaza, had injured seven people earlier in the day. 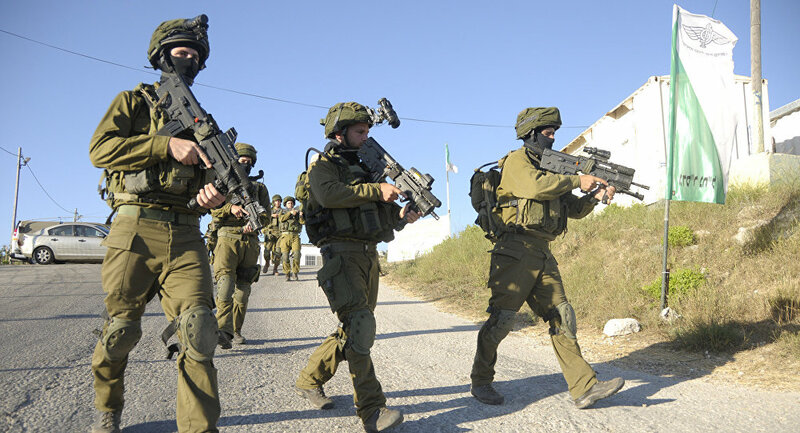 Following the early-morning incident, the IFD said that it was bolstering its military presence at the border with Gaza and was carrying out partial mobilization of reservists. Commenting on the airstrike, US President Donald Trump said that Israel had an absolute right to self-defence. "The United States recognizes Israel's absolute right to defend itself," Trump said ahead of his bilateral talks with Israeli Prime Minister Benjamin Netanyahu. "Any possible future peace agreement [on the Middle East] must be count for Israel's absolute right to defend itself from Syria, Iran and other regional threats," Trump said at the White House.